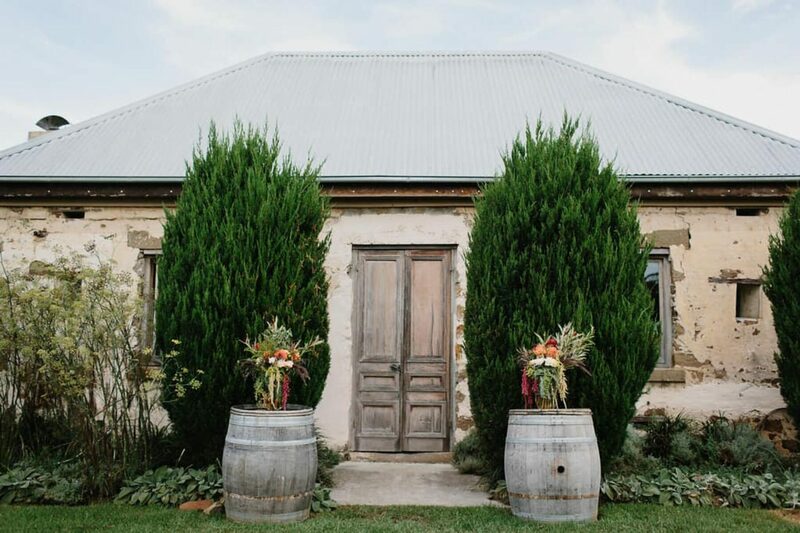 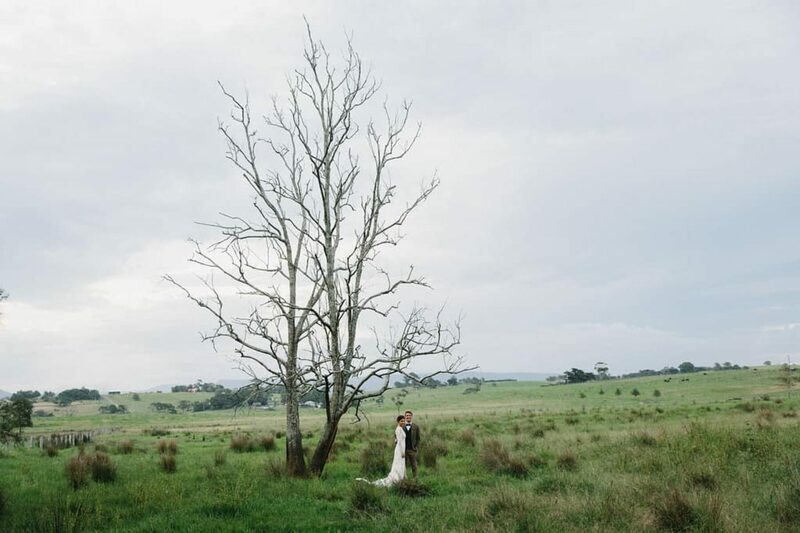 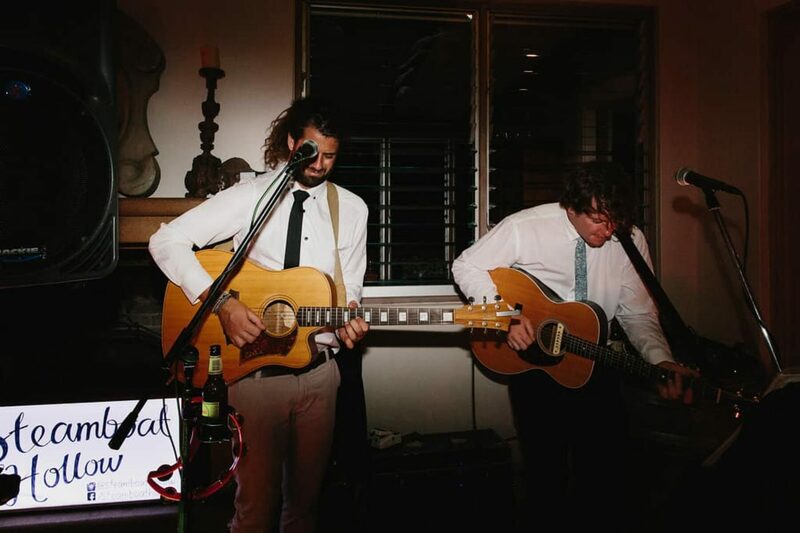 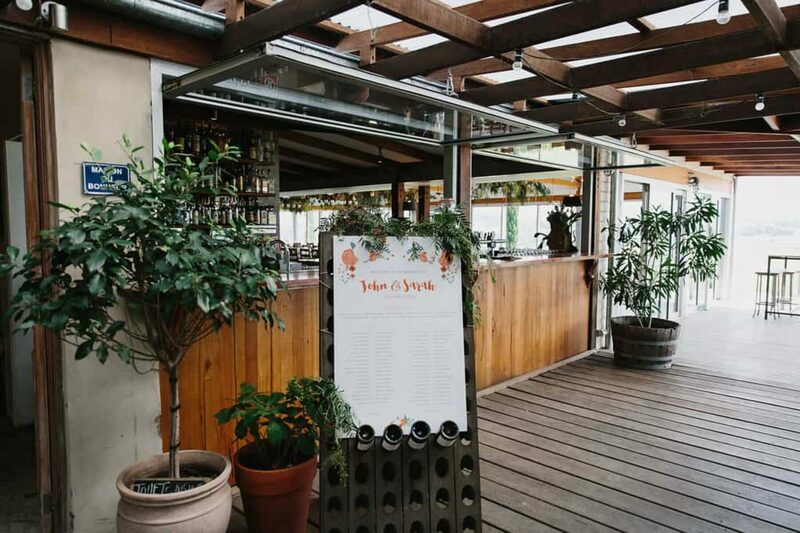 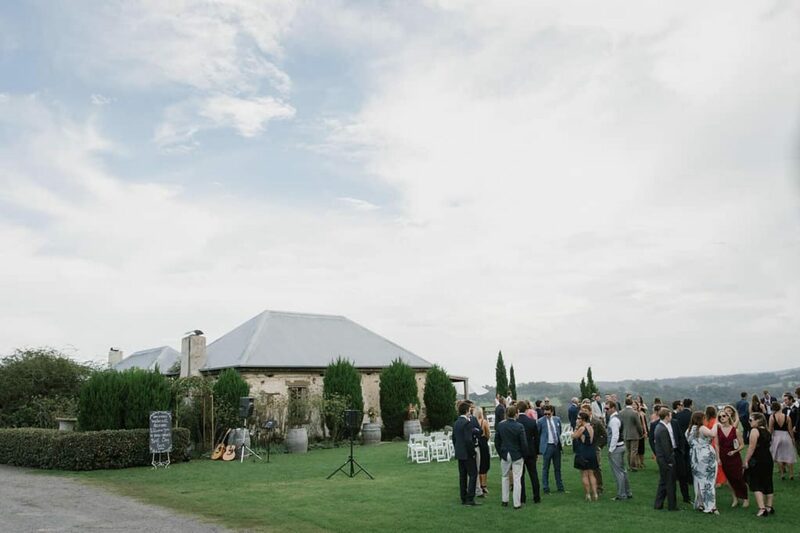 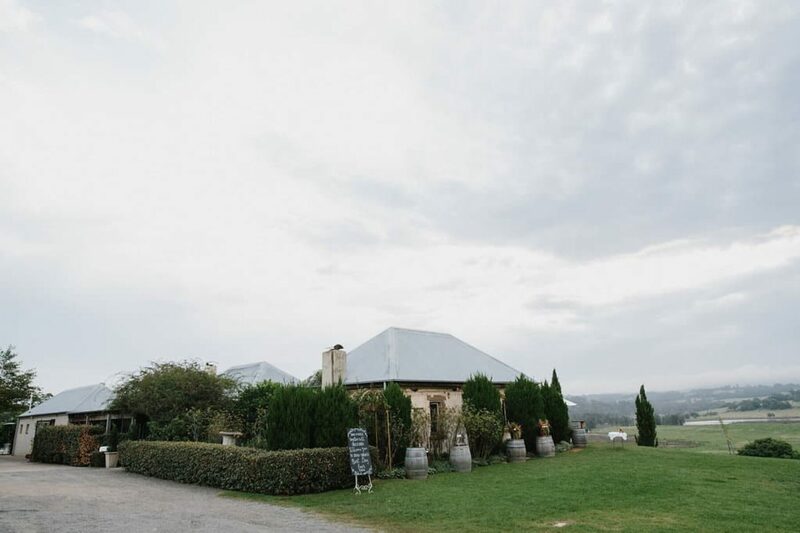 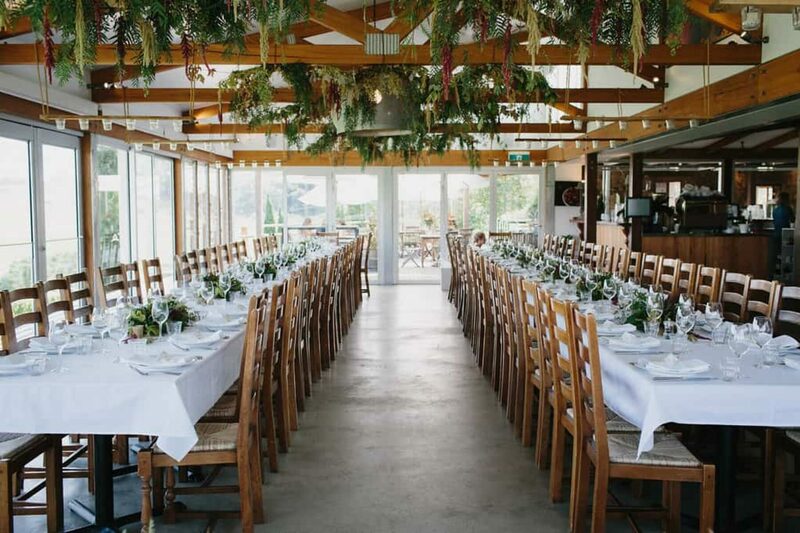 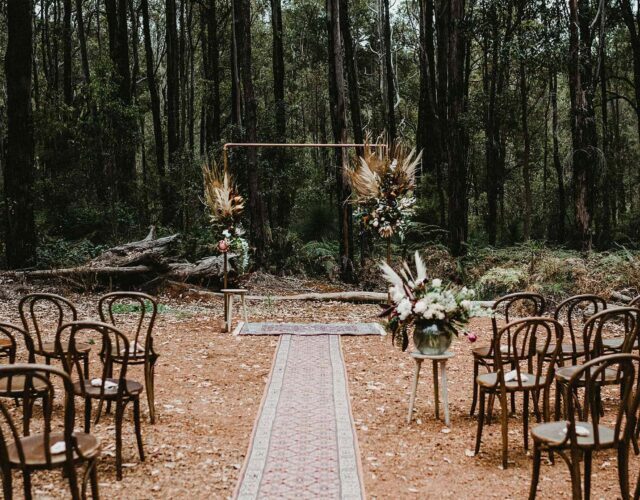 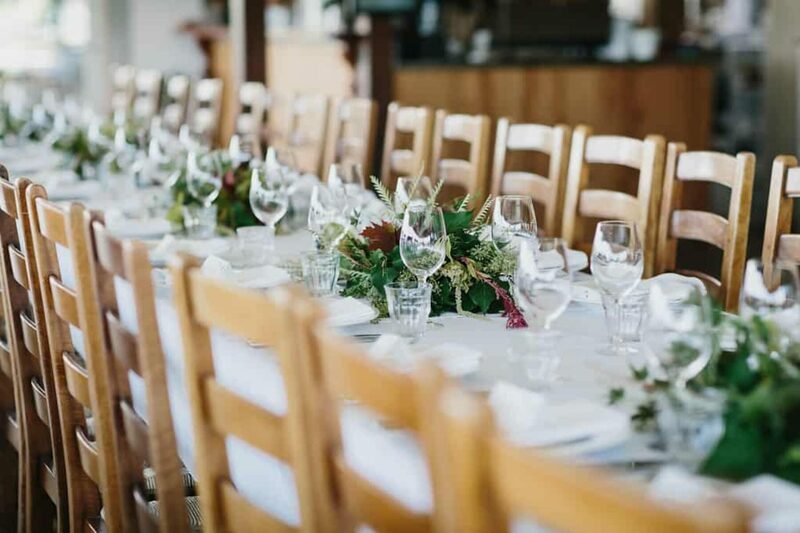 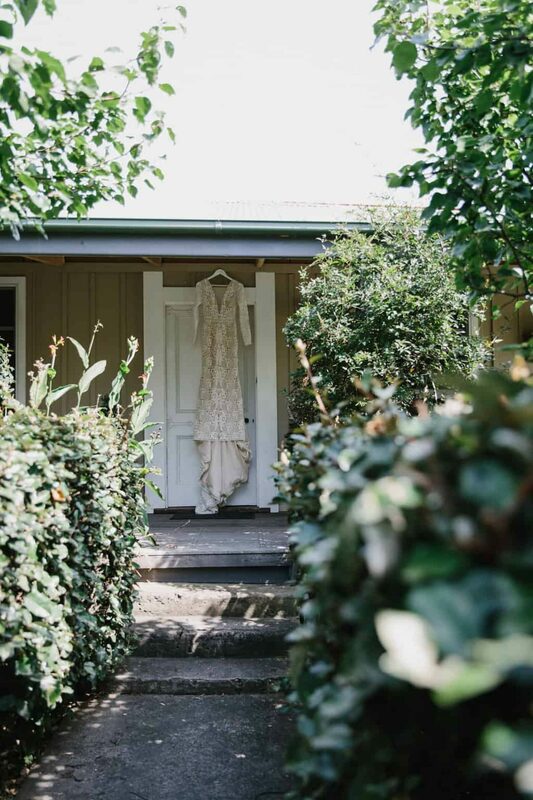 Cupitt’s Winery in the South Coast town of Ulladulla made for a charmingly rustic backdrop and very little decoration was needed to get it wedding-ready, “The setting and venue have so much character, charm and elegance, we knew a minimalist approach to styling would work best.” Says Sarah. 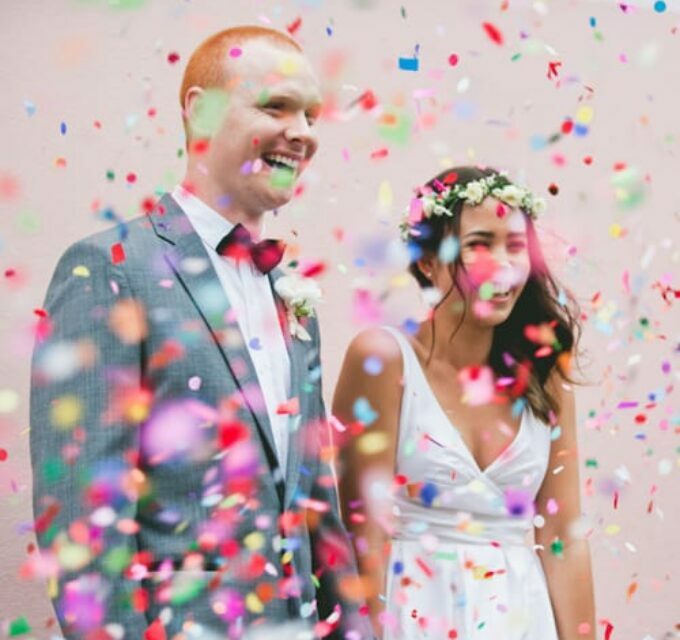 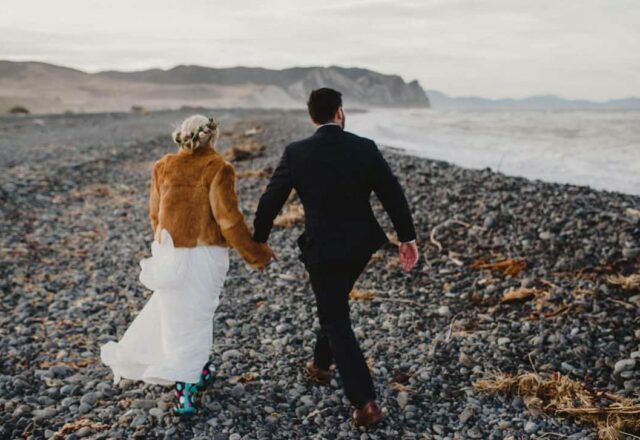 Jimmy Raper captured every moment in his full-of-life photos and these newlyweds couldn’t be happier with the way he documented their day. 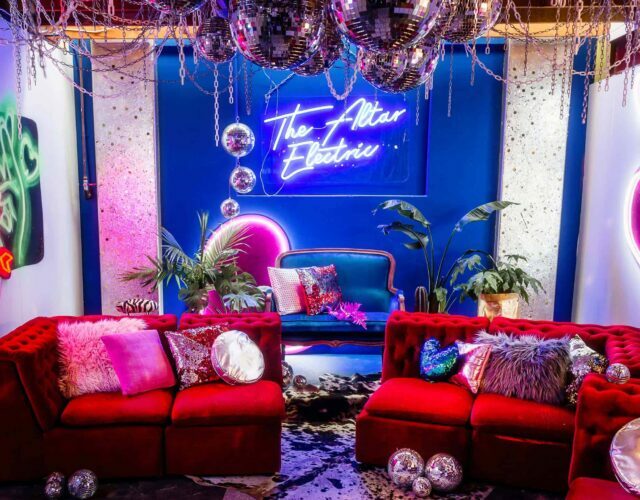 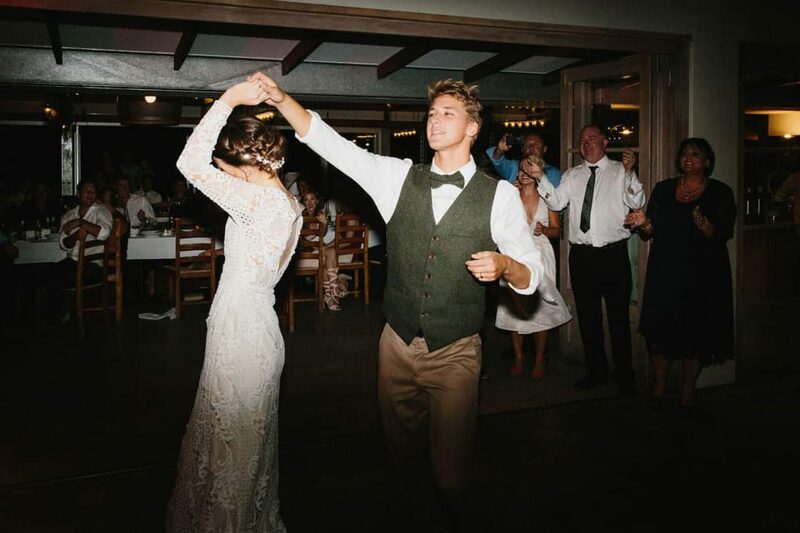 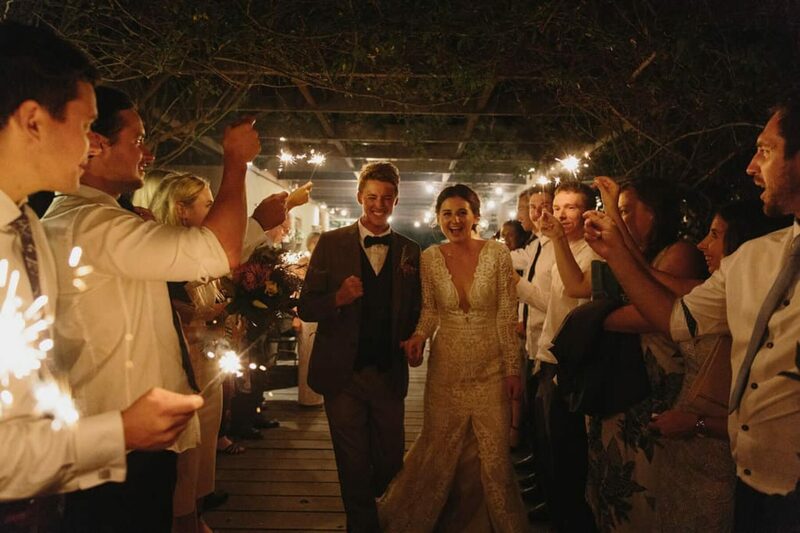 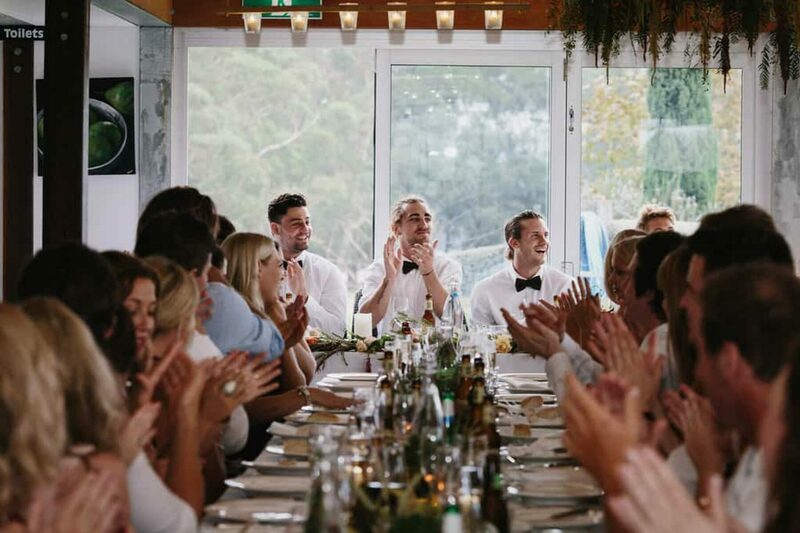 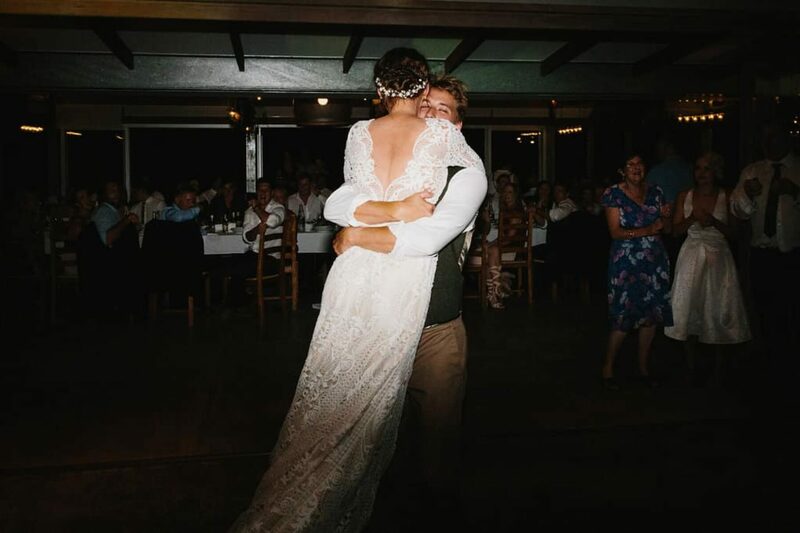 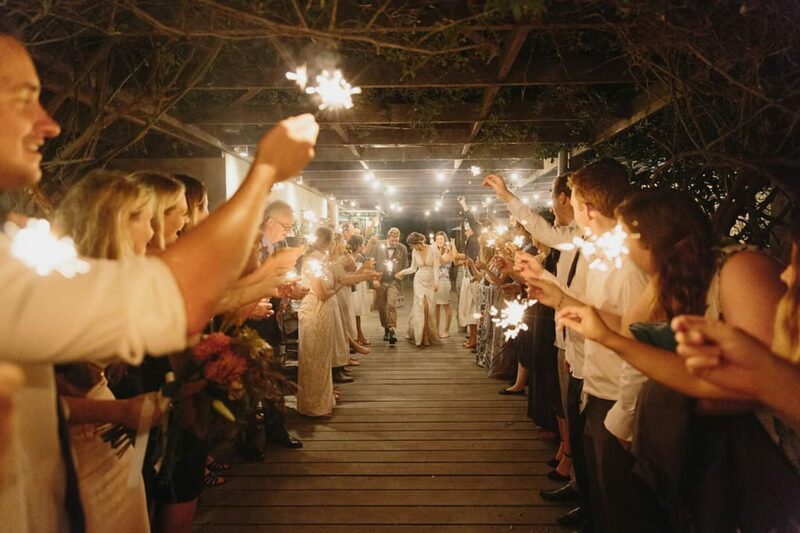 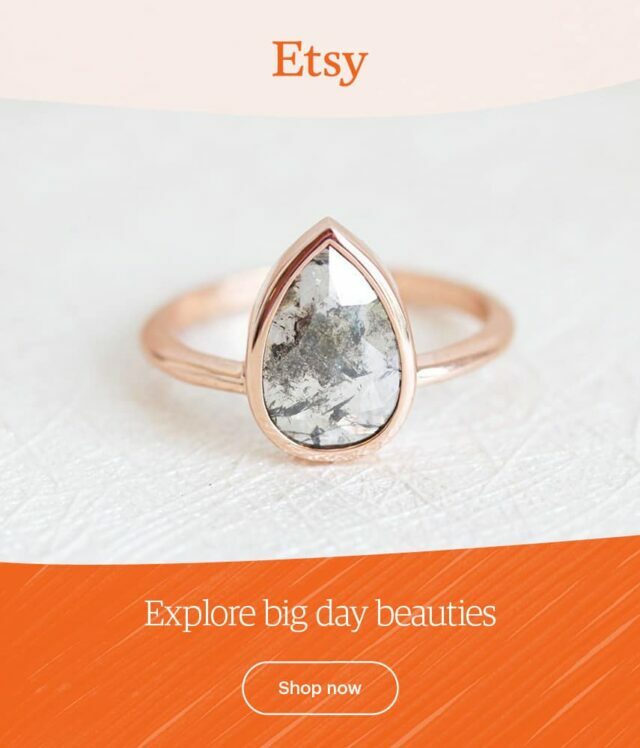 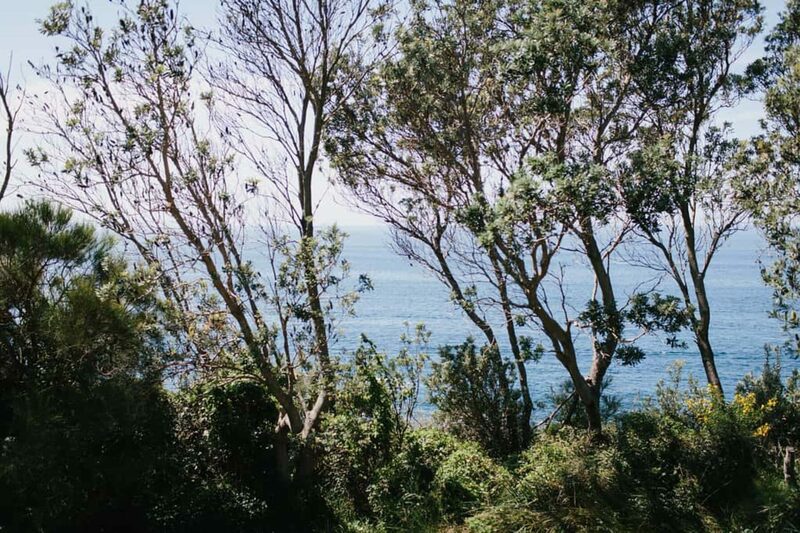 With their laidback location, the pair hoped their friends and fam would spend a few days with them in the seaside town, A pre-wedding pizza night and post-wedding recovery brunch ensured everyone stuck around for the entire weekend! 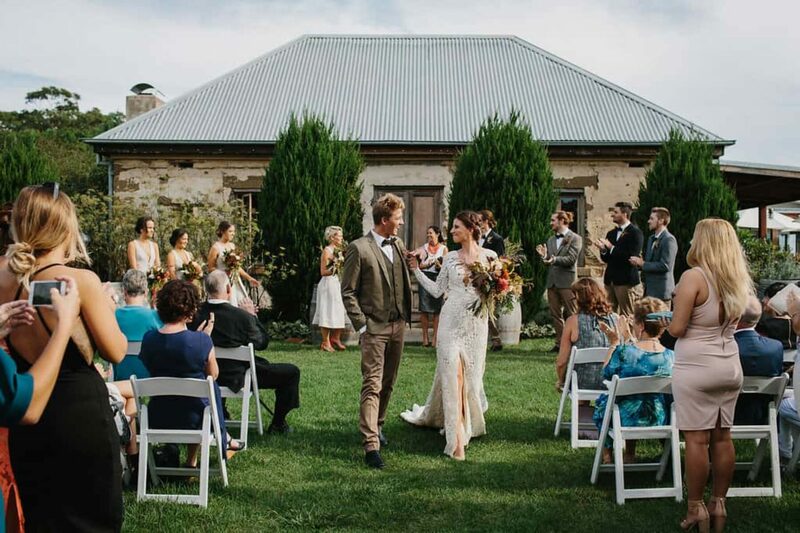 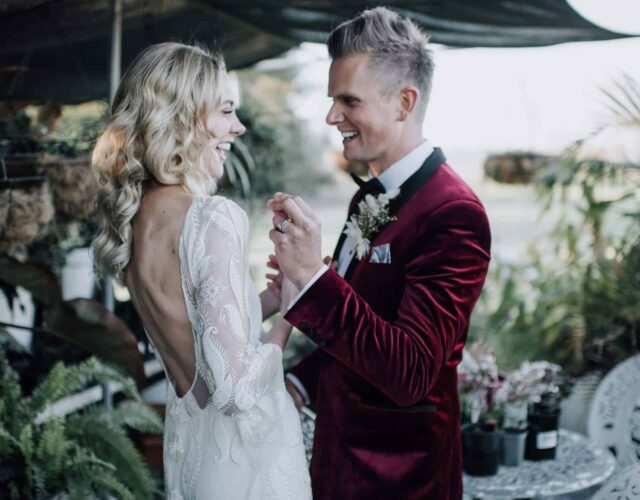 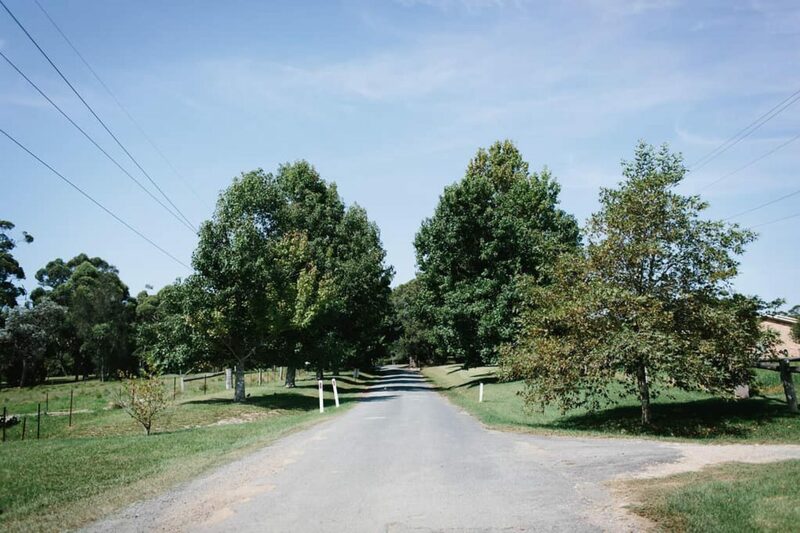 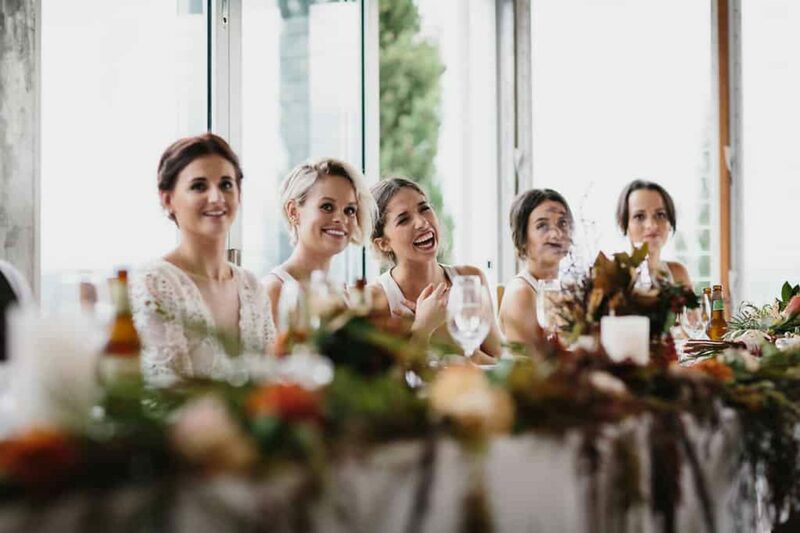 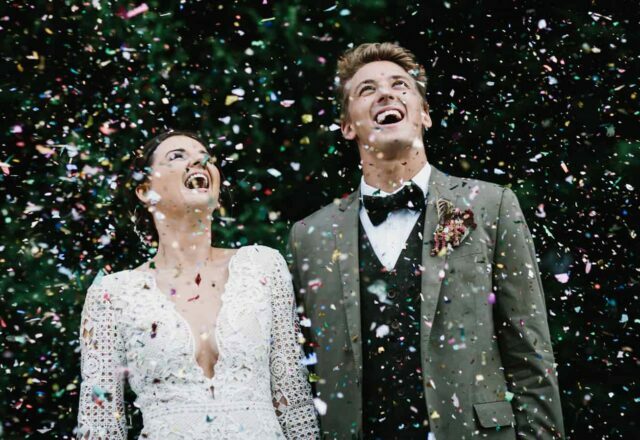 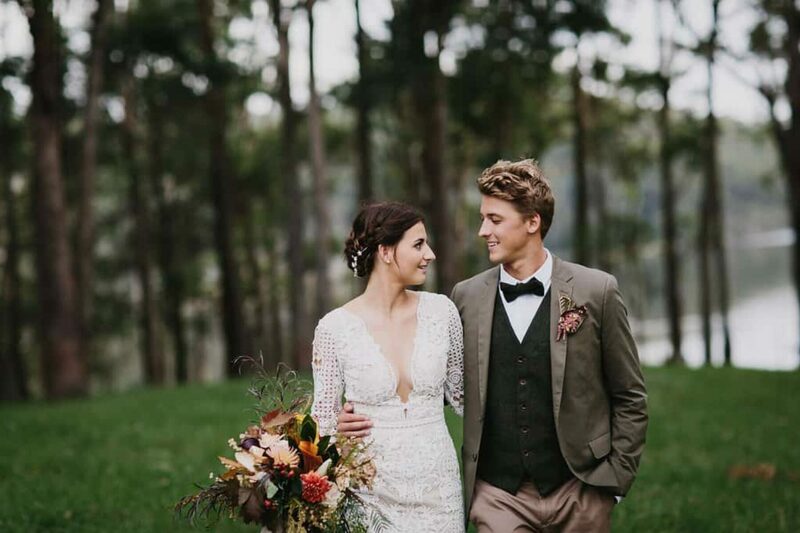 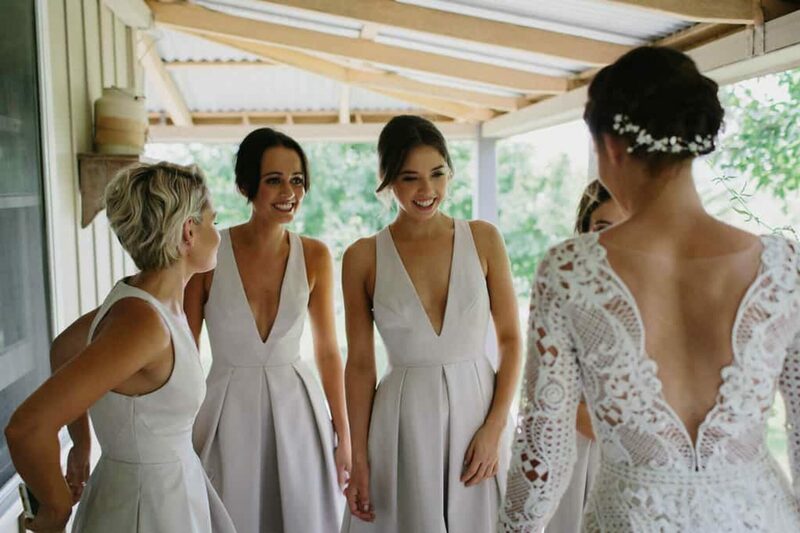 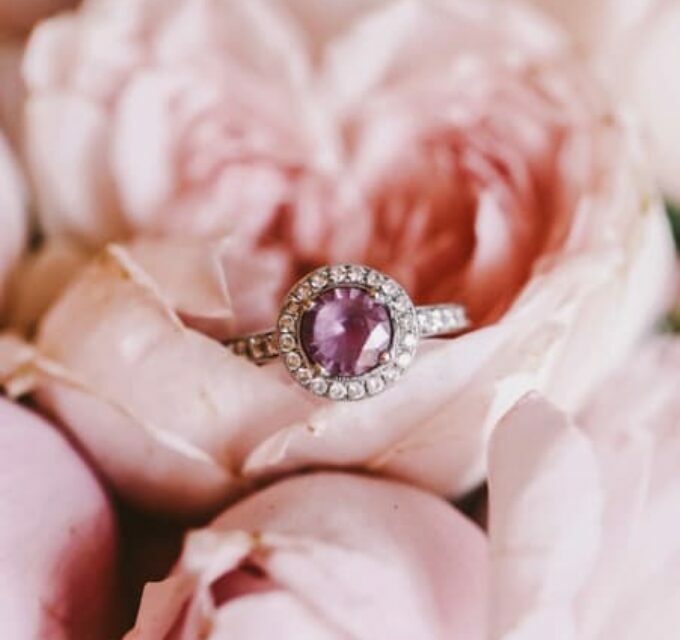 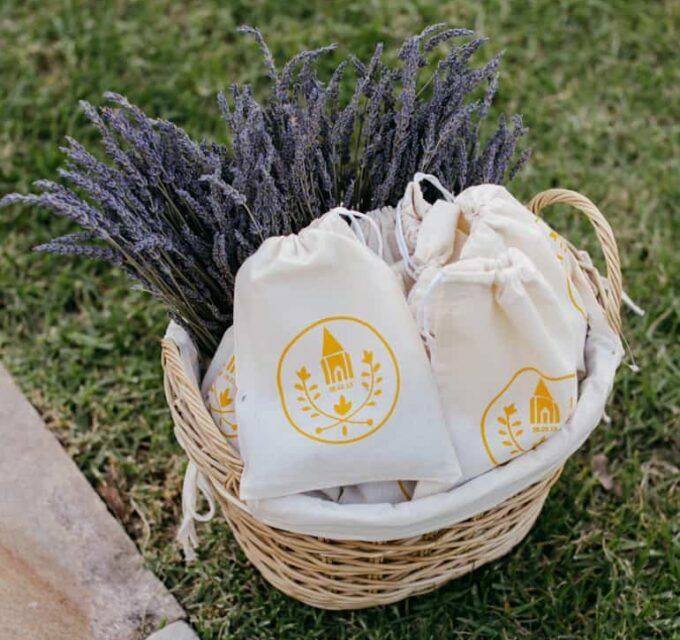 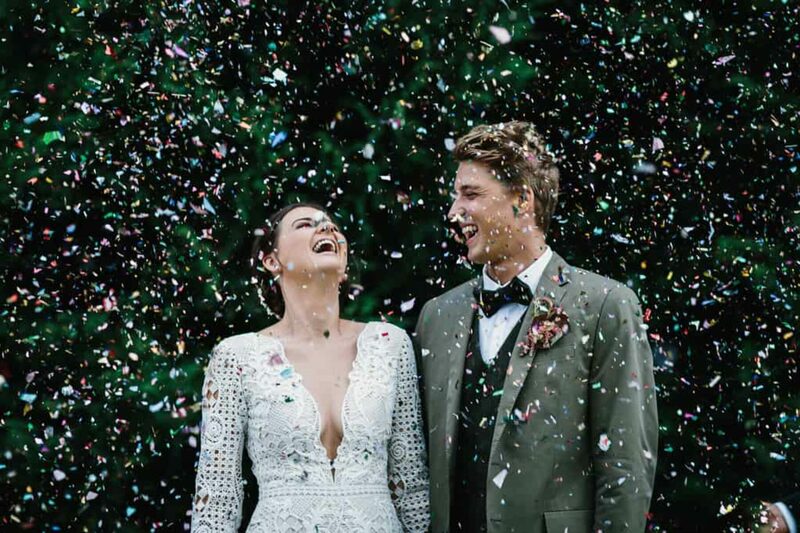 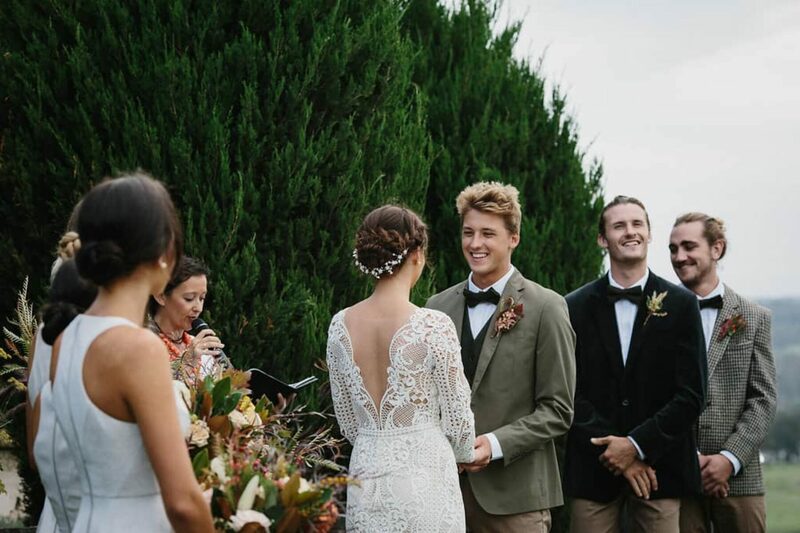 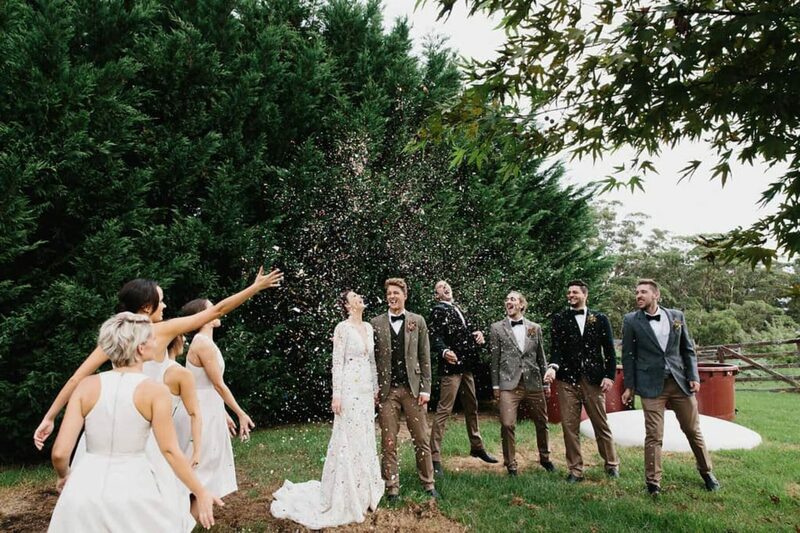 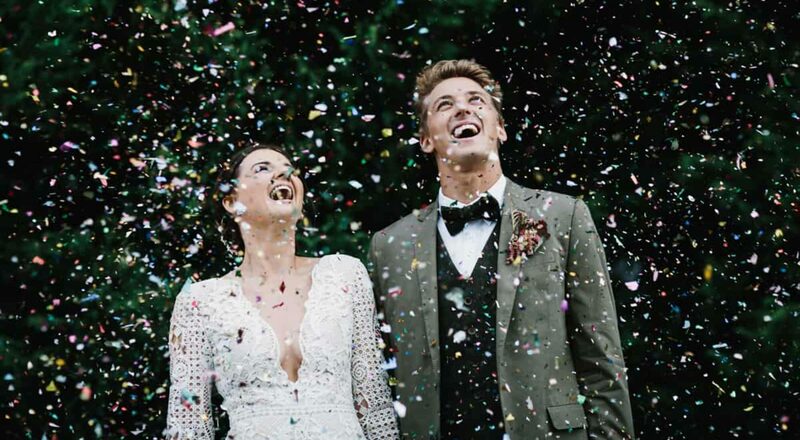 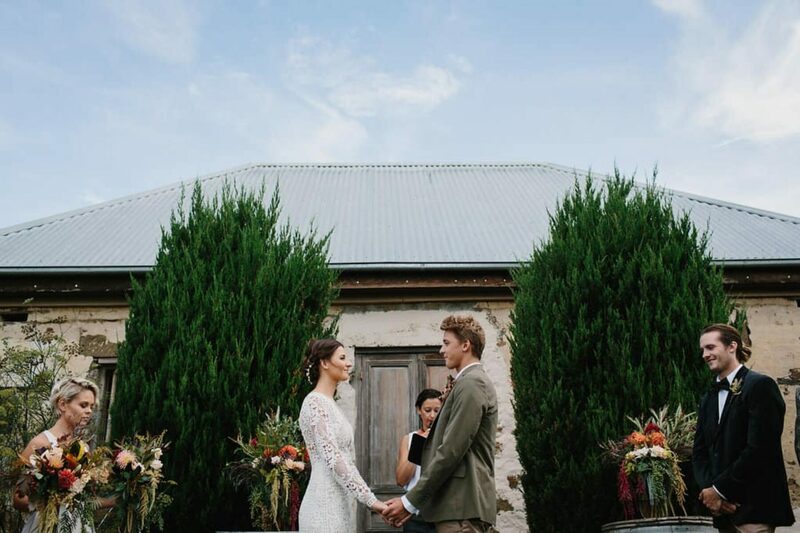 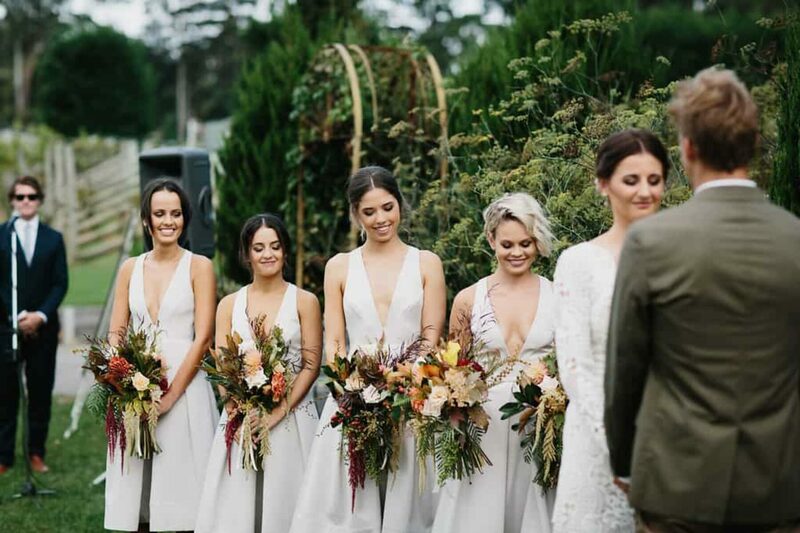 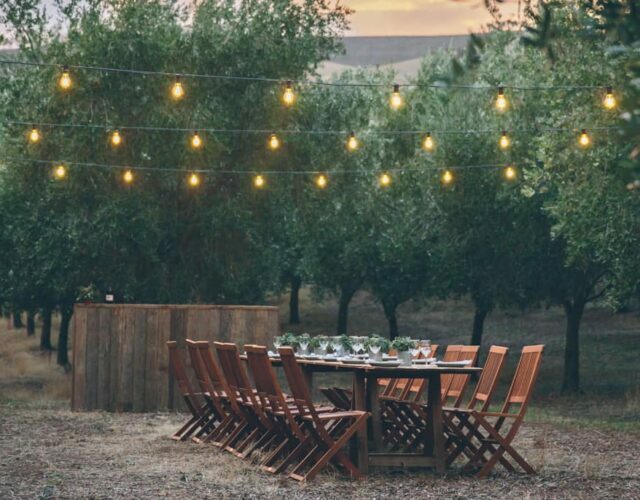 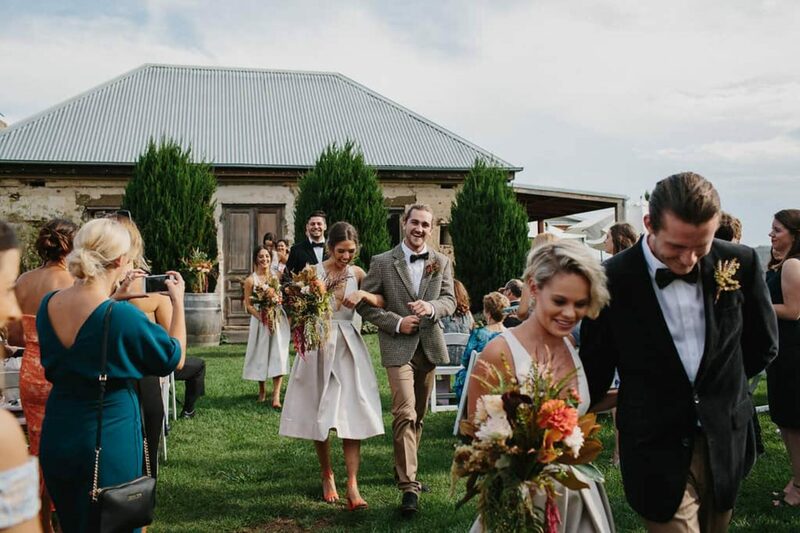 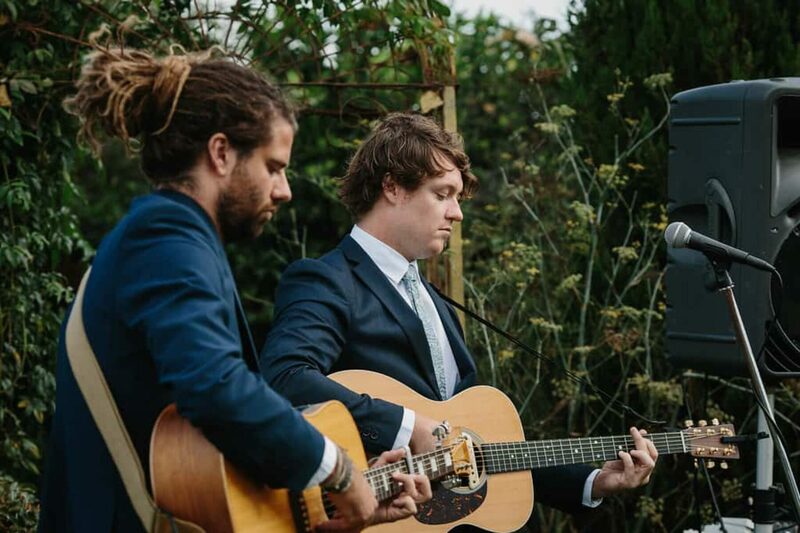 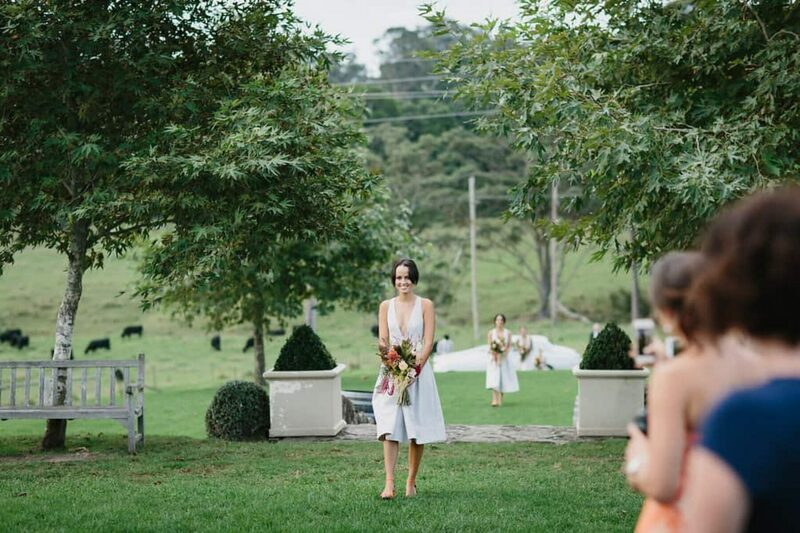 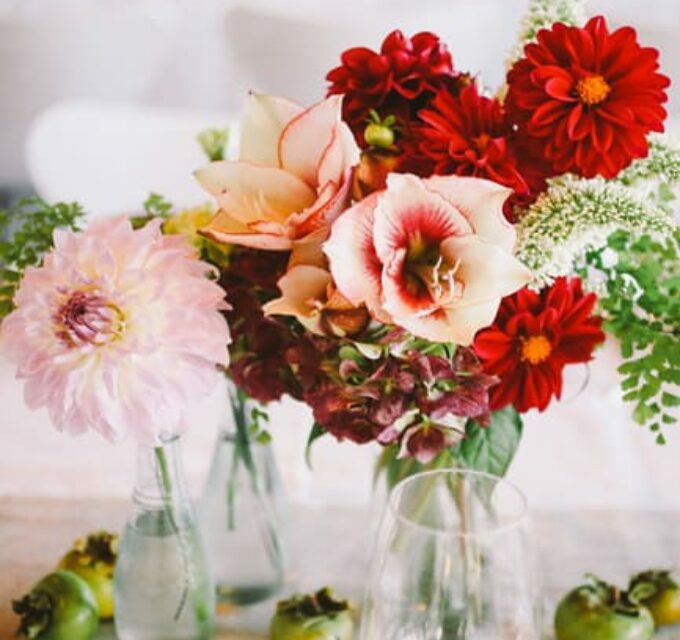 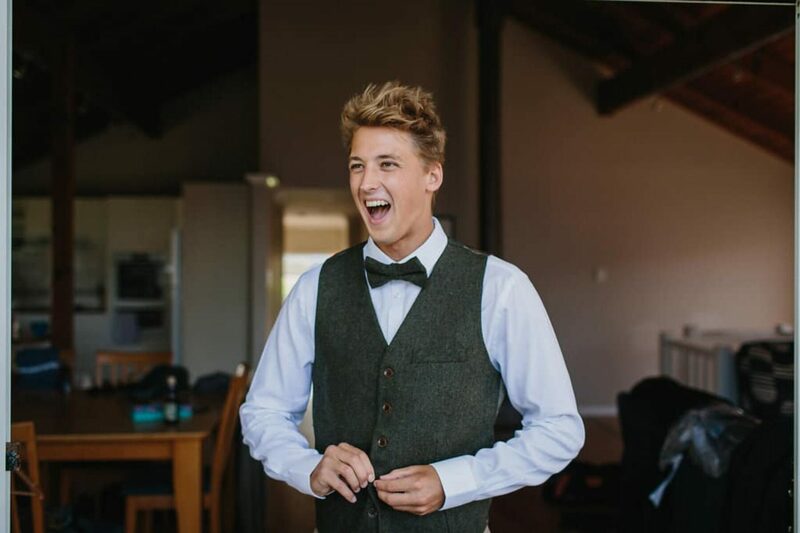 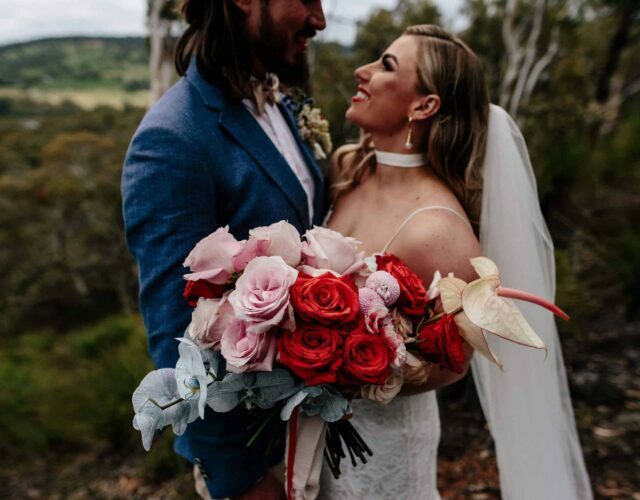 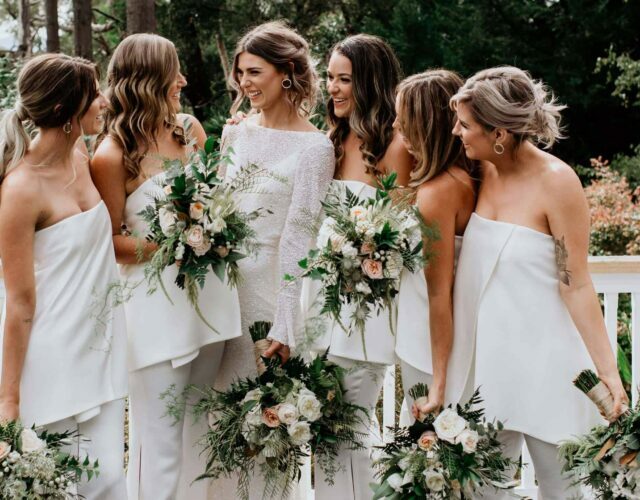 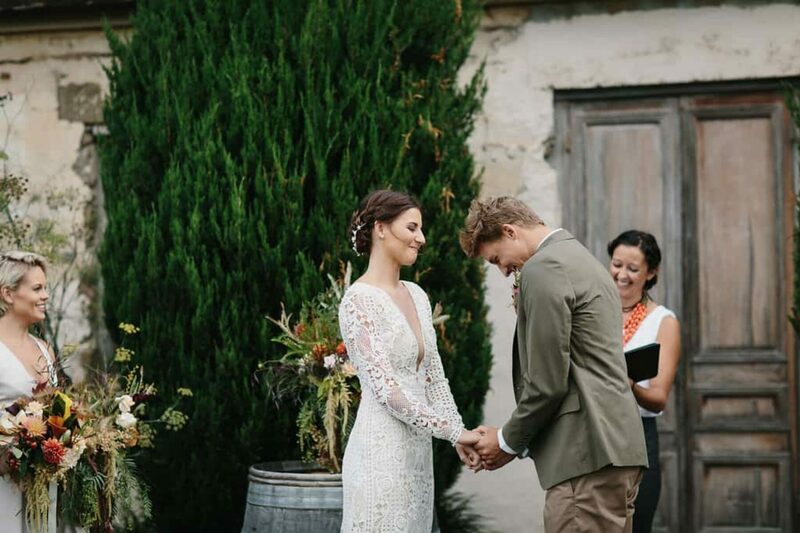 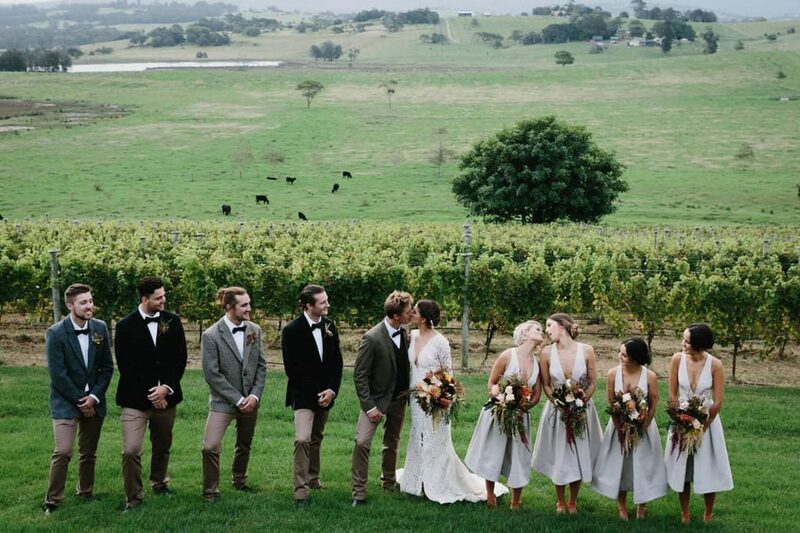 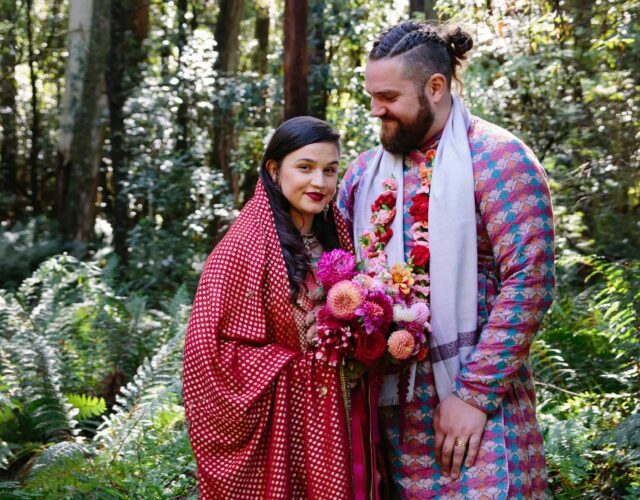 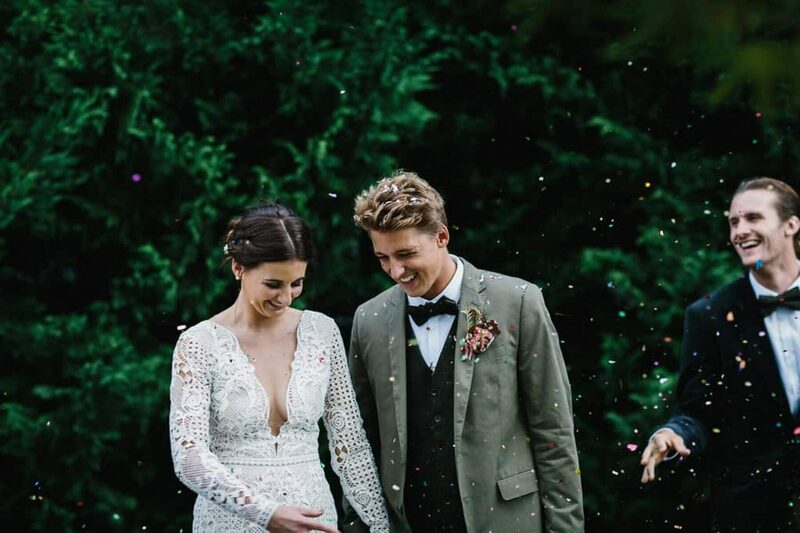 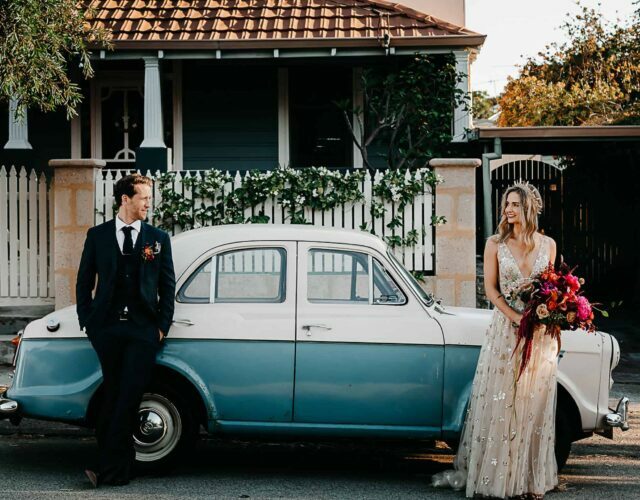 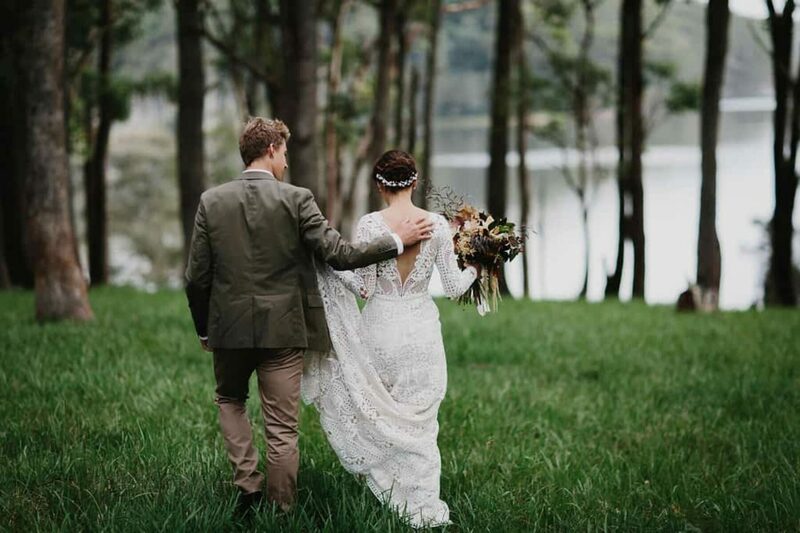 In keeping with the season, these sweeties chose an autumn-toned colour palette, and Cupitt’s Winery couldn’t have been a more perfect spot to tie the knot. 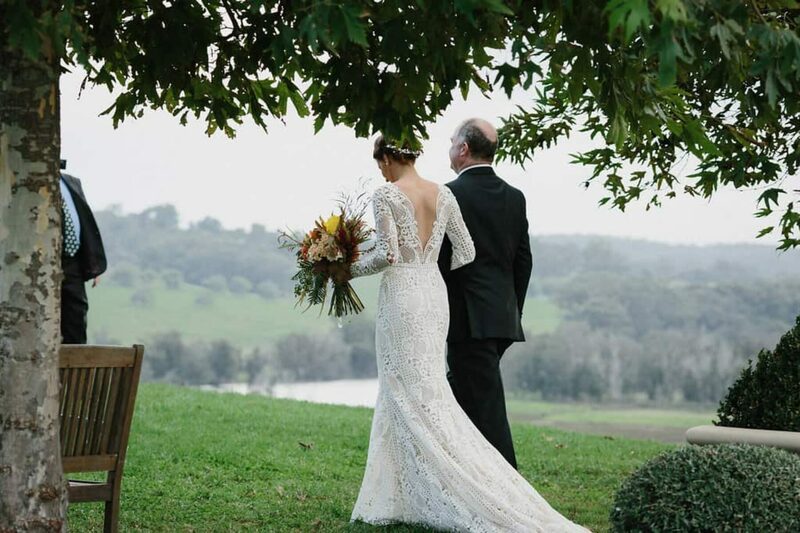 We love a naked cake and Sarah and John’s is no exception! 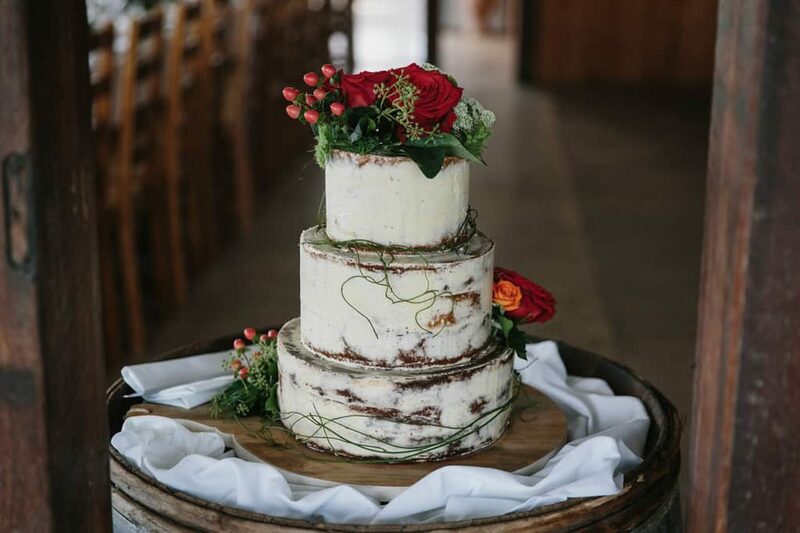 Kate’s Cakes three-tiered creation is one big mouthwatering caramel mud, vanilla buttercream-covered masterpiece and not gonna lie, we want a slice! 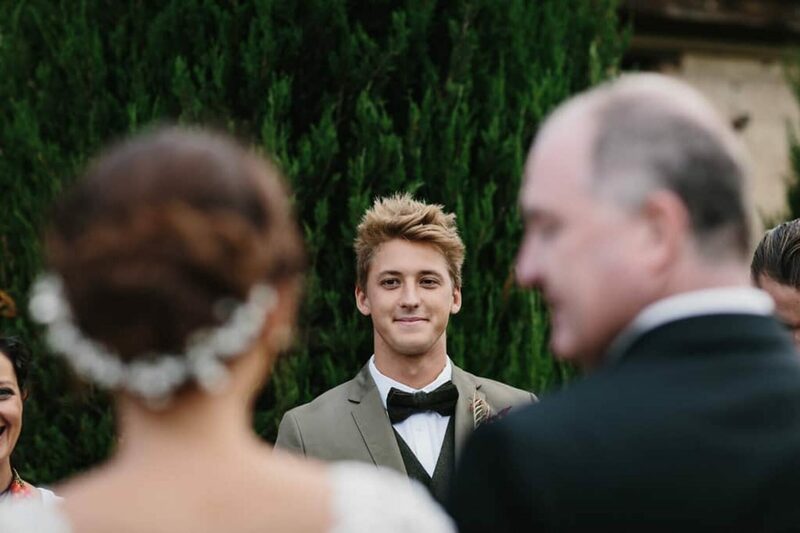 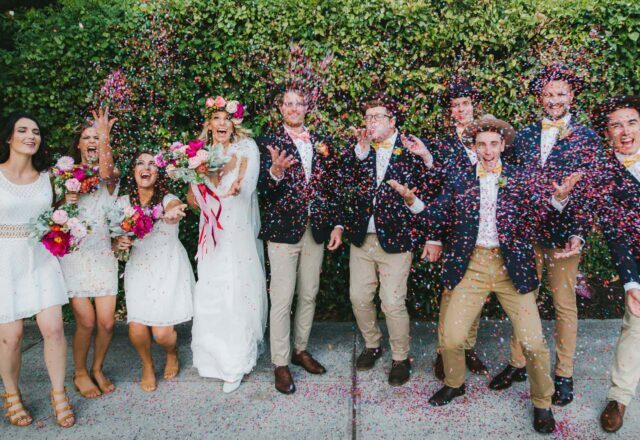 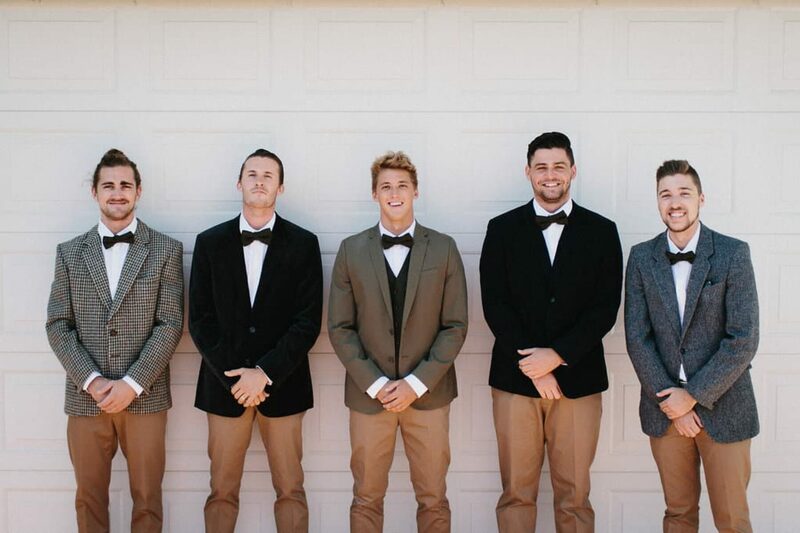 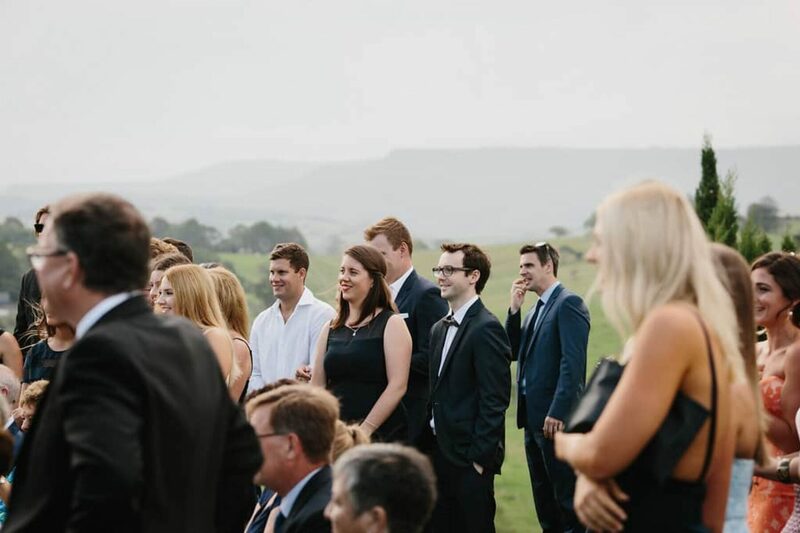 These groomsmen prove you don’t have to spend a lot to look dapper! 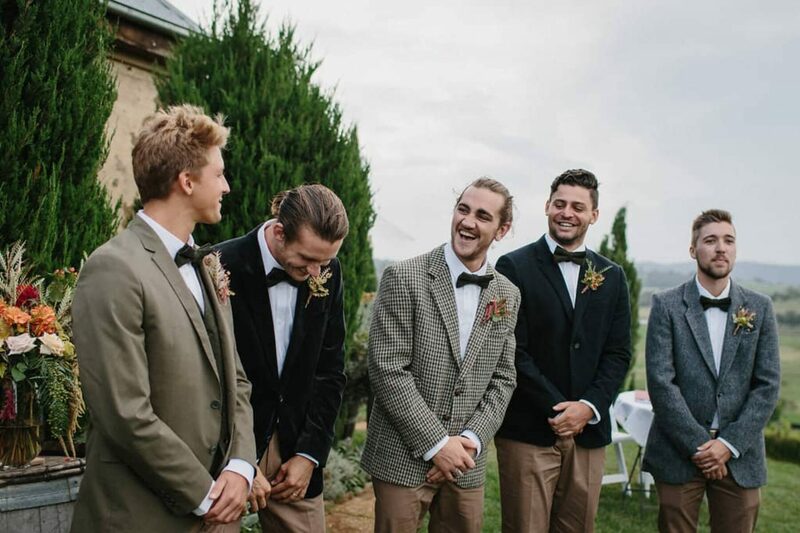 Blazers were sourced from op-shops in a mixture of tweed and velvet, and paired with camel-toned trousers, rolled up to reveal some super colourful Happy Socks! 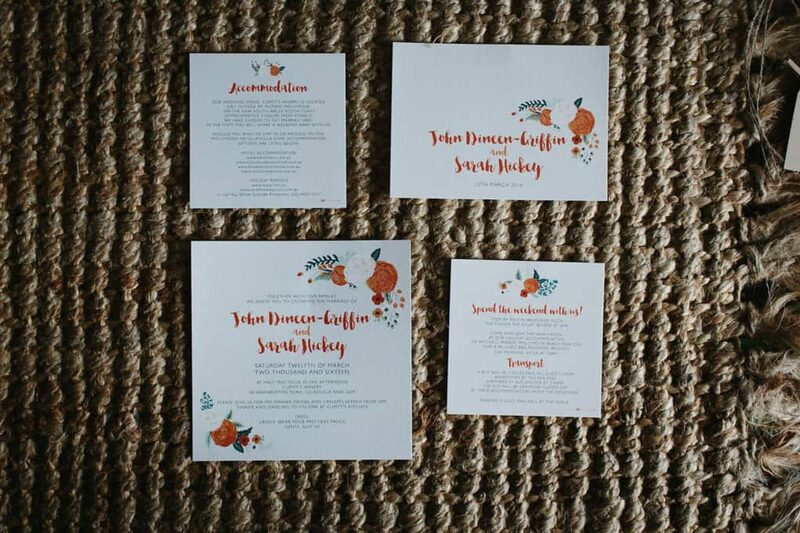 Dear Little Darling is responsible for Sarah and John's autumn-inspired wedding stationery and it's some of the prettiest we've seen! 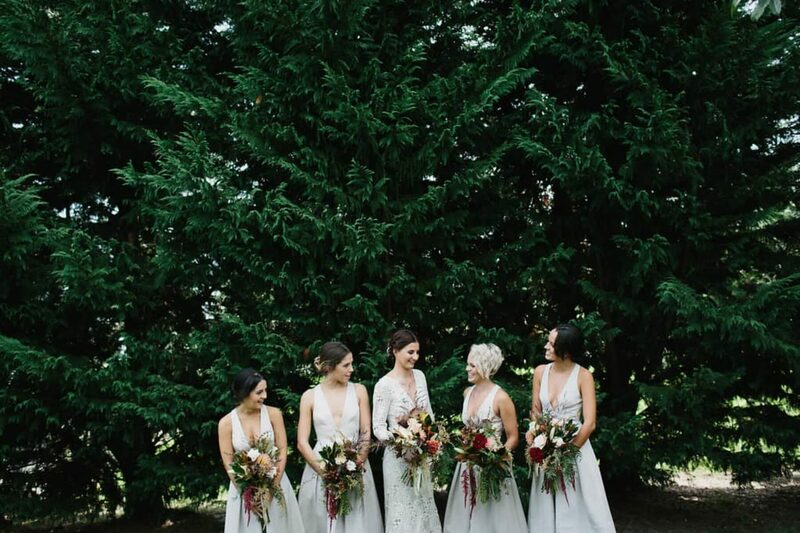 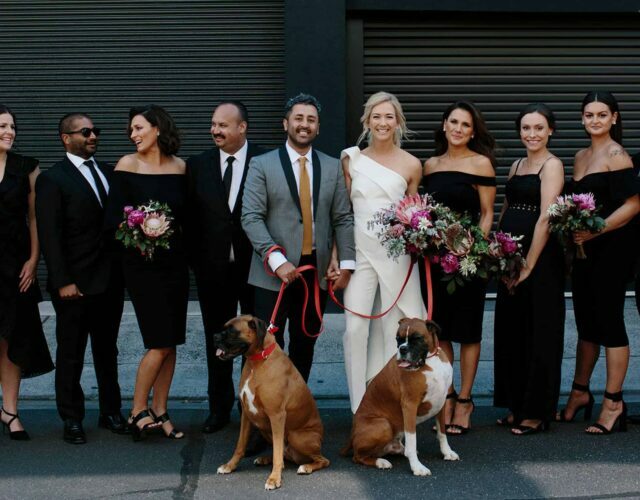 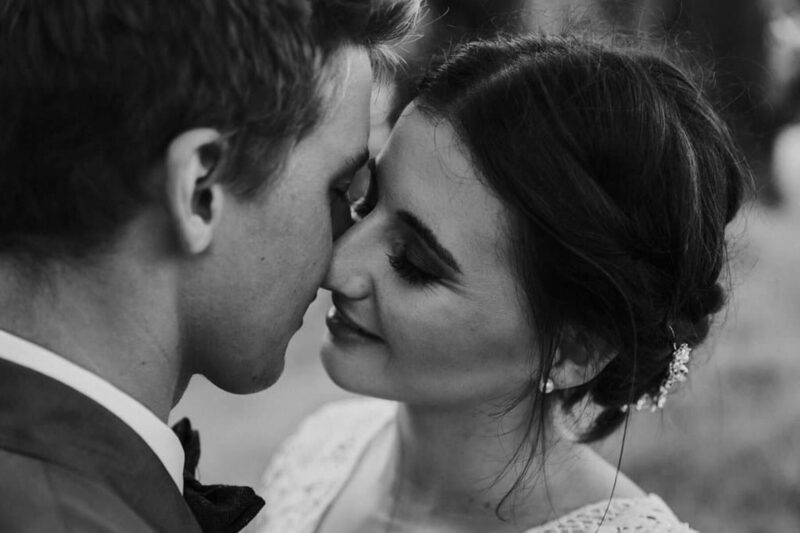 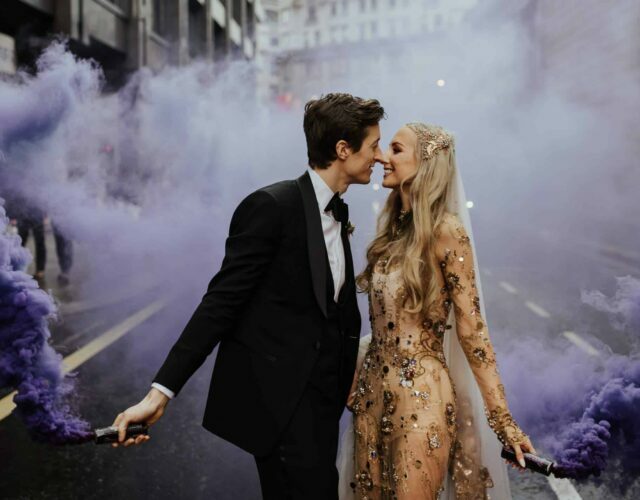 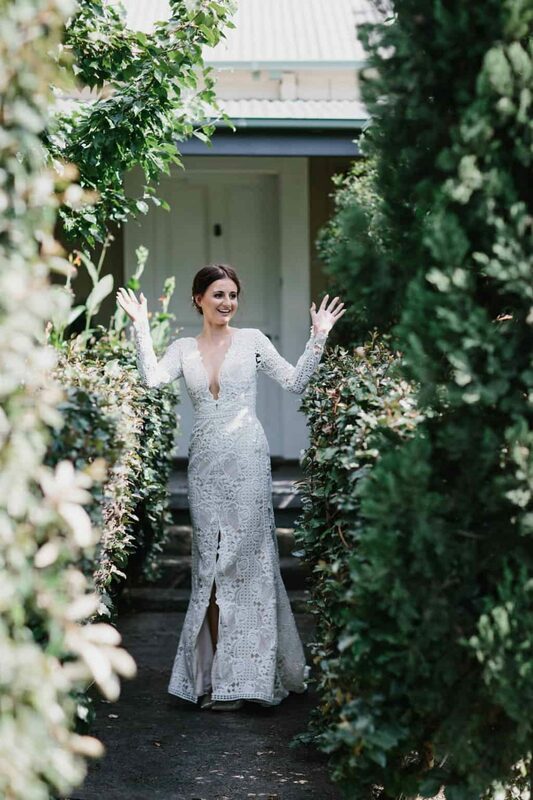 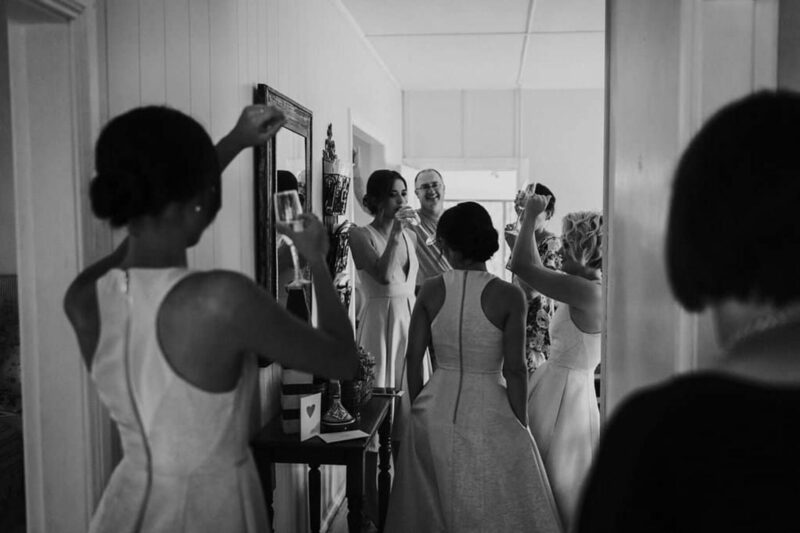 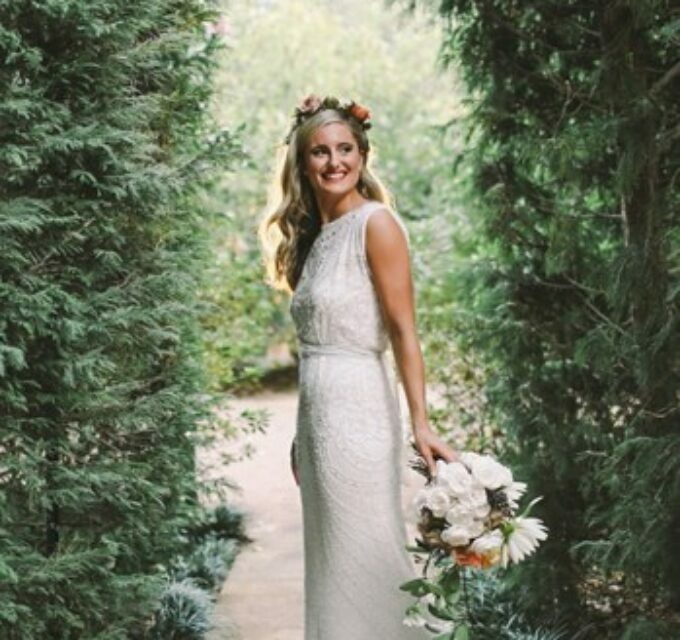 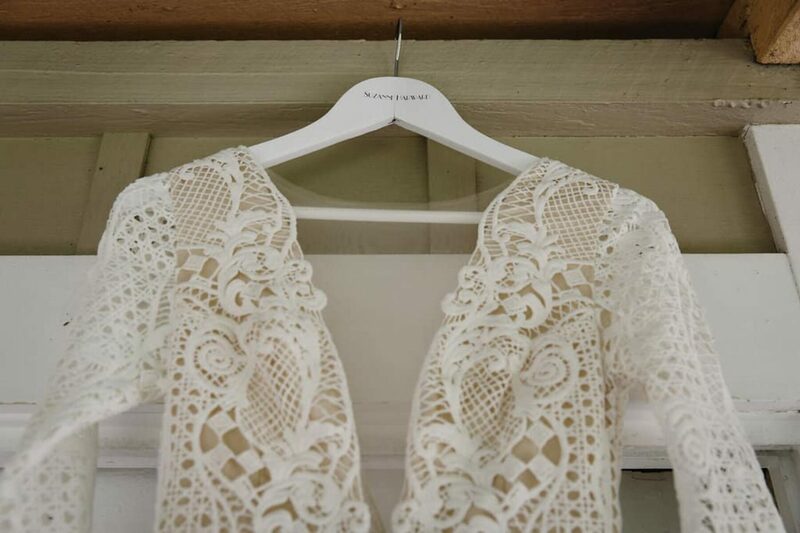 We're loving Sarah’s bridal style and her Suzanne Harward gown is definitely one for the lust-list. 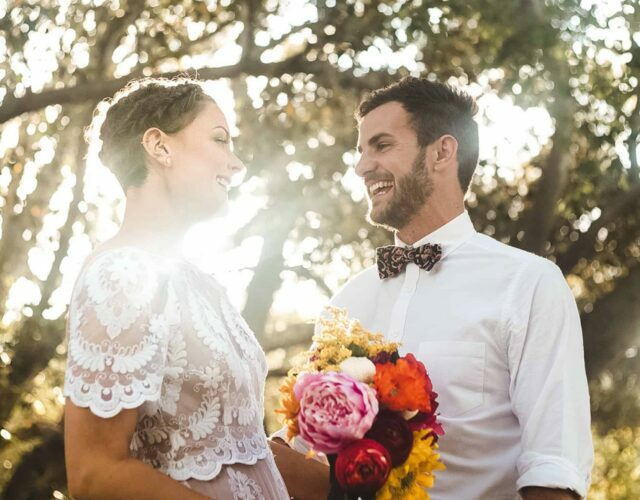 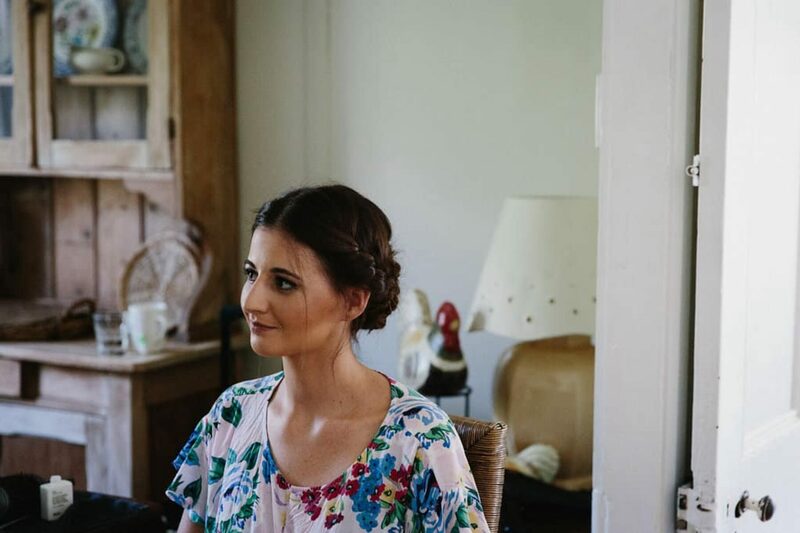 With her sweet up-do and gilded hairpiece, this bride is babin' in her broderie anglaise glory. 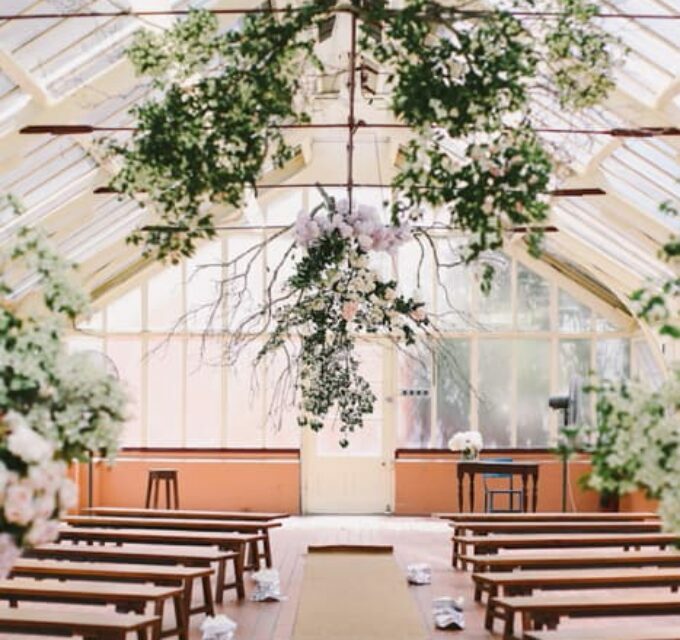 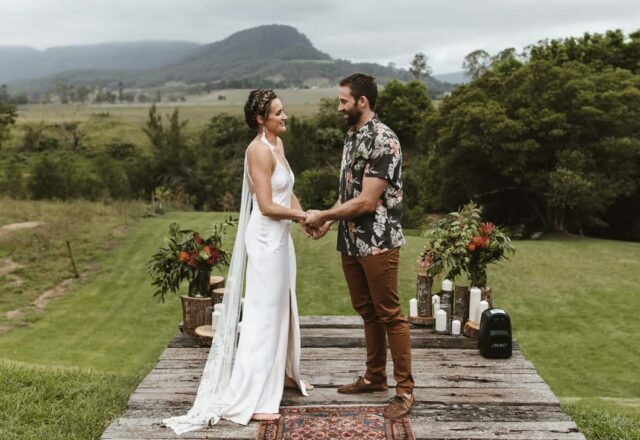 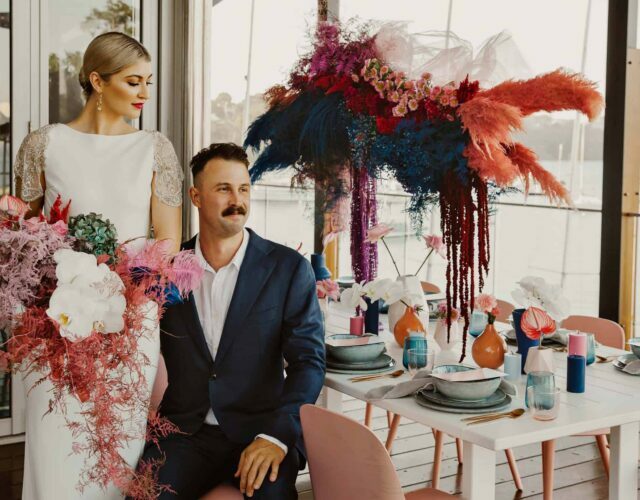 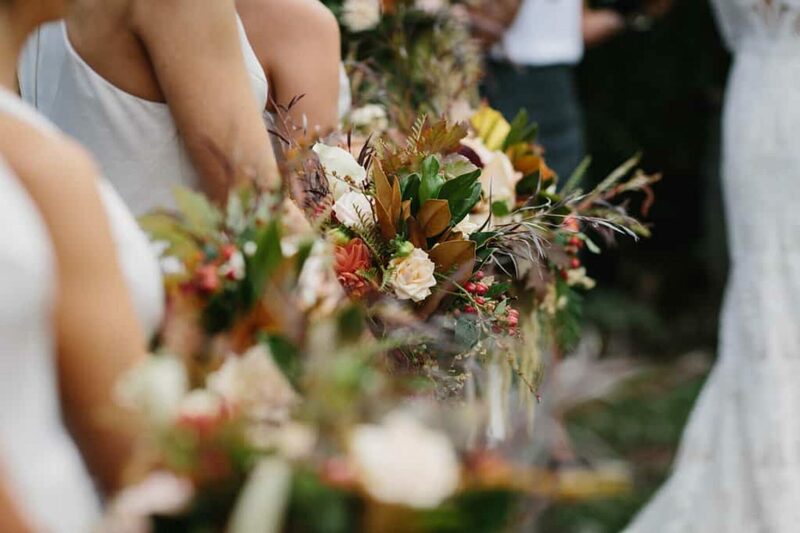 According to Sarah, Kate of The Botanical Workshop worked tirelessly to create what the couple had envisioned and the results were stunning – think hanging floral installations, trestle tables laden with blooms and foliage plus some gorge autumn-toned bouqs!